HEWI Nylon Bathtub Seat, 29-1/8" wide (Hafele: 980.20.799, HEWI: 801.51US520) is designed to mount to a wall and span across a 30" (side to side) tub. It provides a convenient seat that can be used during a bath or shower. The unit folds up and away when full access to the tub space is needed. The unit is designed to be mounted using an included special hardware kit. All HEWI shower seat designs and colors are suitable for residential use. 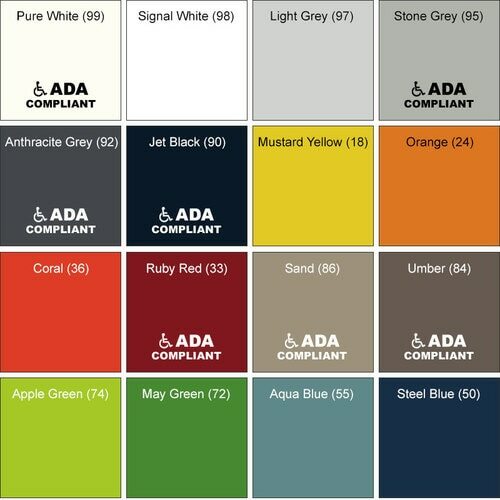 Models in finishes other than 99 pure white, 95 stone gray, 92 anthracite gray, 86 sand, and 84 umber are not ADA compliant for commercial use. These models comply with European accessibility standards. HEWI Nylon Bathtub Seat, 29-1/8" wide (Hafele: 980.20.799, HEWI: 801.51US520) folds up and away when full access to the tub space is needed. The unit is designed to mount across a 30" (side to side) tub. It provides a convenient seat that can be used during a bath or shower.